A couple of days ago I had a Valentine’s card up on the Jane’s Doodle blog, using the Winter Fun stamp set. These reindeer make me smile! I stamped and then coloured the images with Copic Markers. 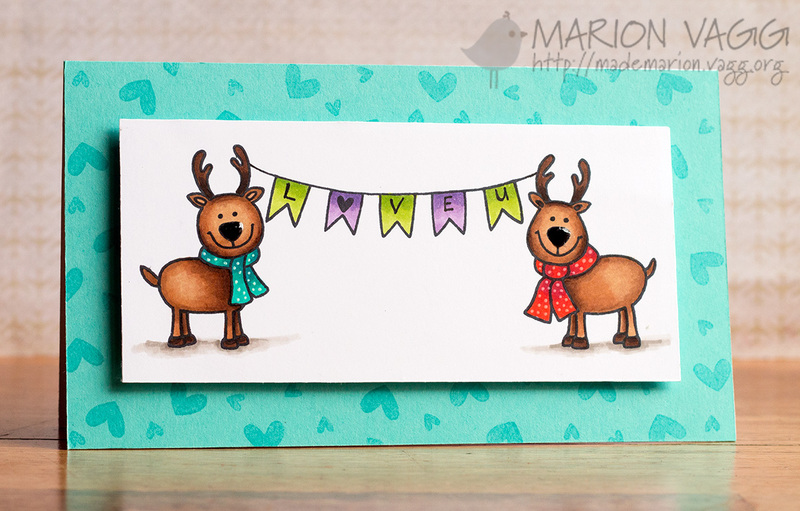 The banner between the two reindeer is from the Love Birds set, and I hand wrote the sentiment with a Copic Multi liner. To add some fun details, their noses are coated in Glossy Accents and I added spots to their scarves. I stamped the heart background with some Teal coloured ink, to create a subtle tone-on-tone effect. Hello! Long time, no post! Well it has been a long time between cards and posting and that’s because we moved house. I’ve unpacked 90% of the boxes, so most things are up and functioning again. I’ve also just finished setting up new new craft space, so I hope to get crafting very soon. It’s been over a month since I have made anything! Anyway, it’s my turn over on the Penny Black Simplicity at its Best blog today. I made this one before the move. 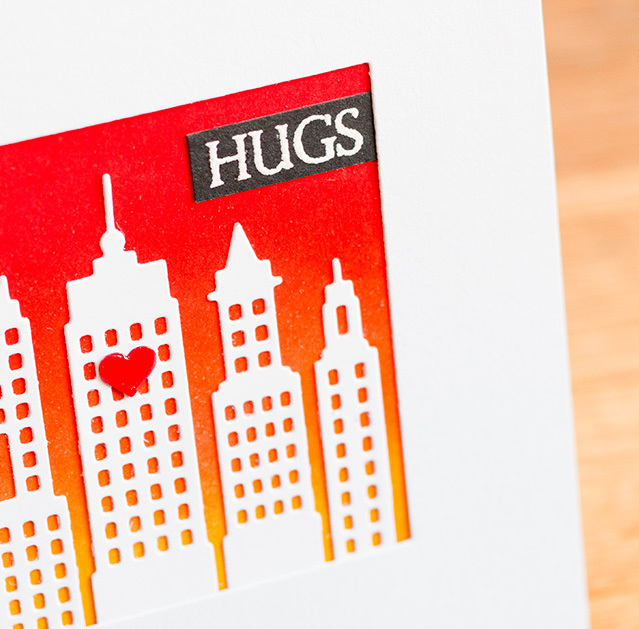 Here is a little peek at my card, but you will have to head to the Simplicity blog for the full reveal.